This curry recipe again another dish is adapted from my mother's kitchen, I must say my mom is a superb chef <3 <3 and her recipes are so simple, easy and very delicious made with basic ingredients which is easily available in our Indian kitchen. 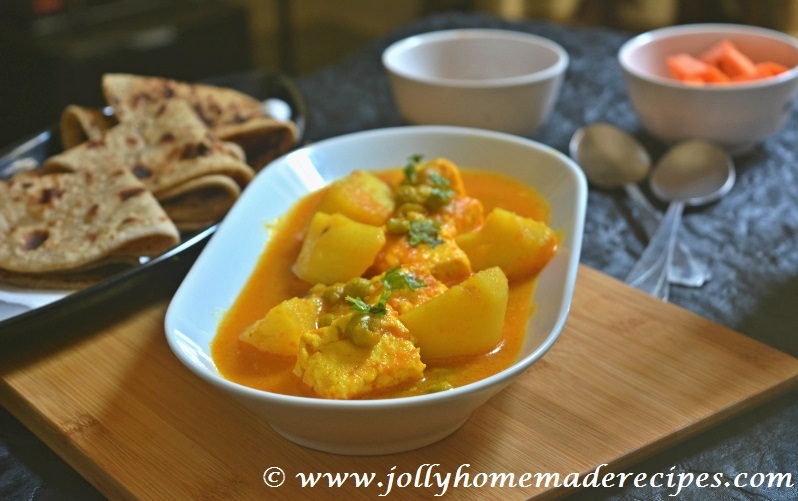 This is classic northindian Punjabi recipe which we make. 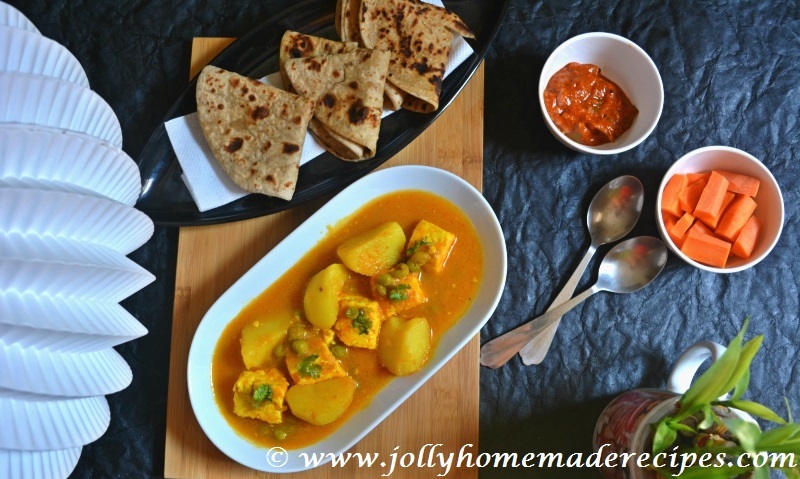 Let's start to make this easy and simple recipe of Punjabi style aloo matar paneer with simple step-by-step process. 1. 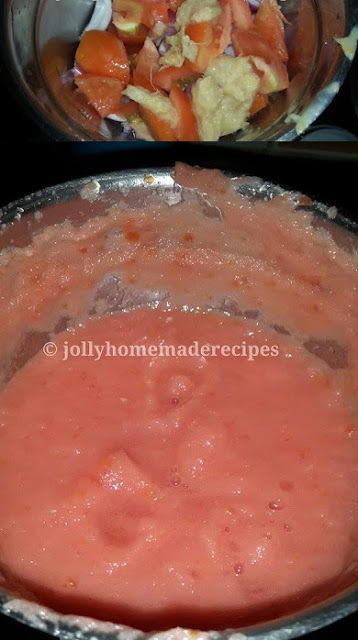 Blend all the ingredients mentioned under "masala paste" in a grinder or blender to a smooth paste. No need to add water while grinding and keep it aside. 2. Heat oil in a pressure cooker. Add grind-ed onion-tomato masala in it, mix it well. 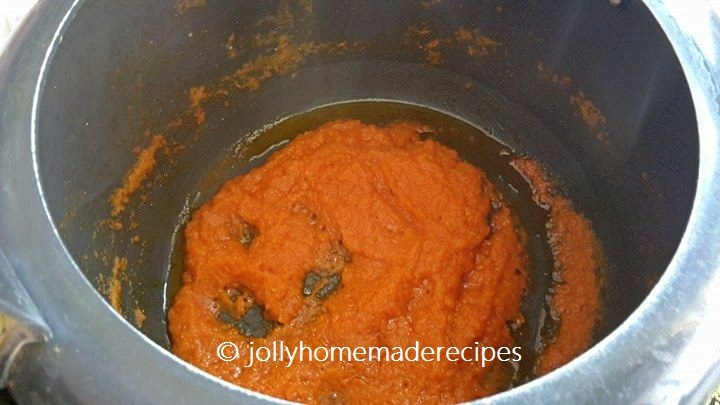 Add all the dry spice powders - turmeric powder, red chili powder,coriander powder and stir well. Saute for 10-12 minutes or more on a low to medium flame till the oil separates from the paste. 3. Add the chopped potatoes or aloo, peas or matar and paneer or cottage cheese. Stir again. 4. Add water and season with salt. 5. 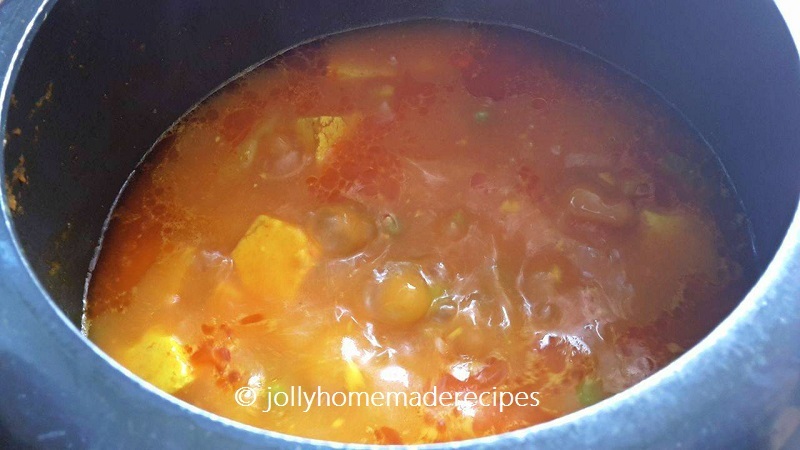 Cover the cooker tightly and pressure cook till the aloo,matar and paneer are cooked. Cook for about 2 to 3 whistles or 9 to 10 minutes. 6. 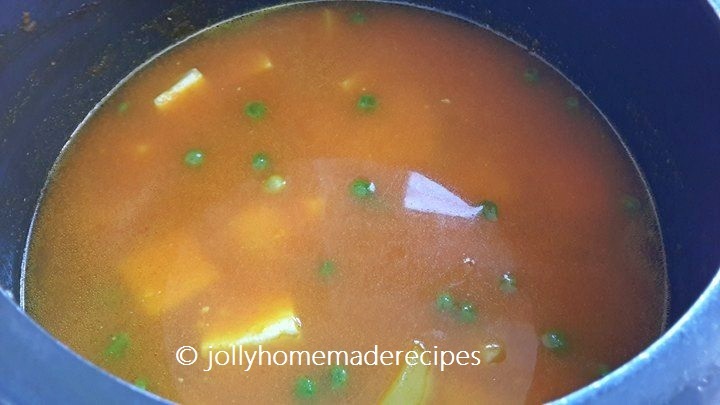 When the pressure drops on its own, open the lid of the pressure cooker. 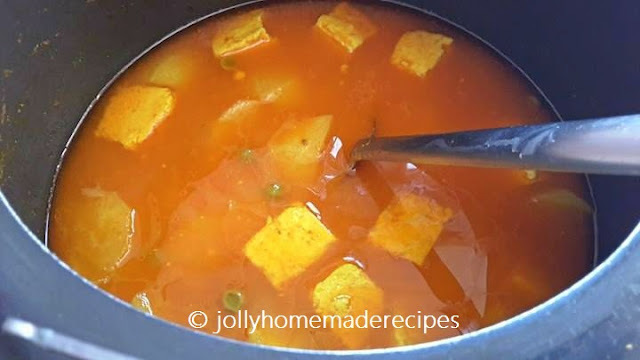 If the curry appears thin, then simmer till it reaches the desired consistency....the consistency is medium and neither thick nor thin. 7. If the gravy appears thick, then add some water and simmer. Add garam masala powder and chopped coriander leaves. 8. 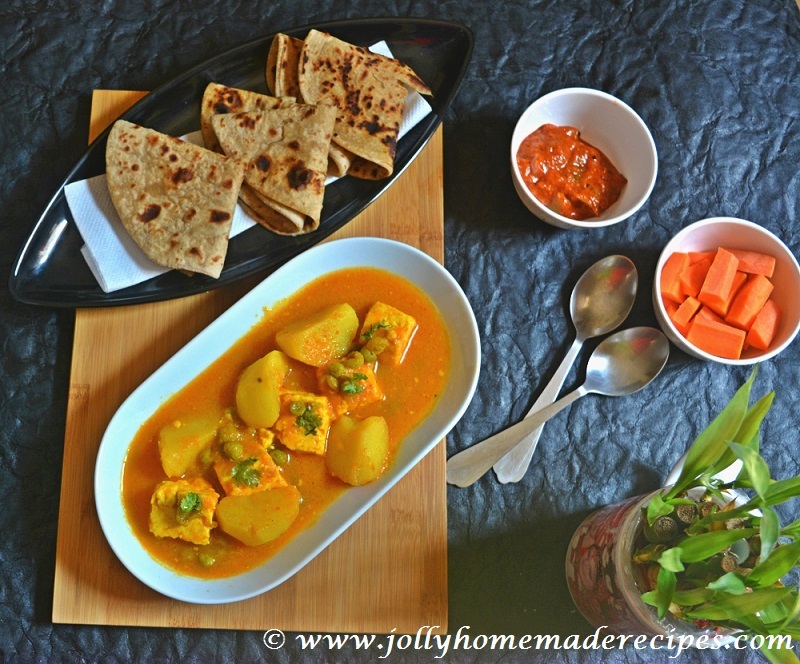 Serve aloo-matar-paneer with rotis, tawa naan or rice, salad and pickle as a side accompaniment. 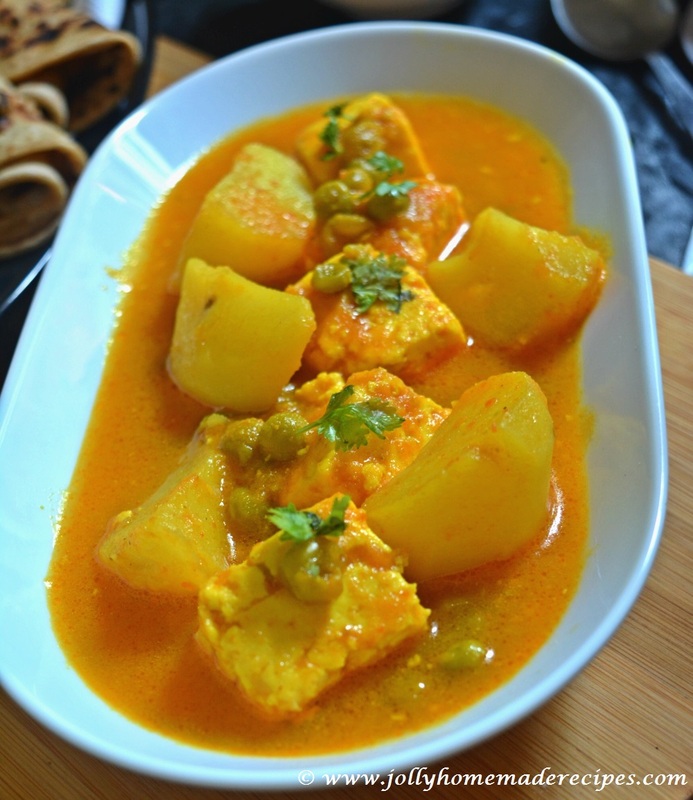 Punjabi dishes are always sinful.. curry looks absolutely delicious.. 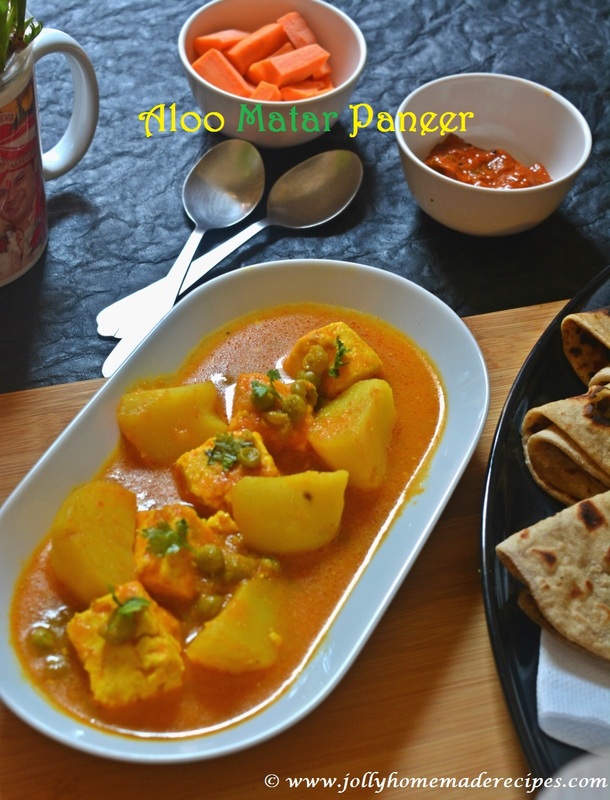 This Aloo Matar Paneer looks so delicious, simple and full of flavors. Love this easy peasy version. yummy gravy!! perfect to go with phulkas!! 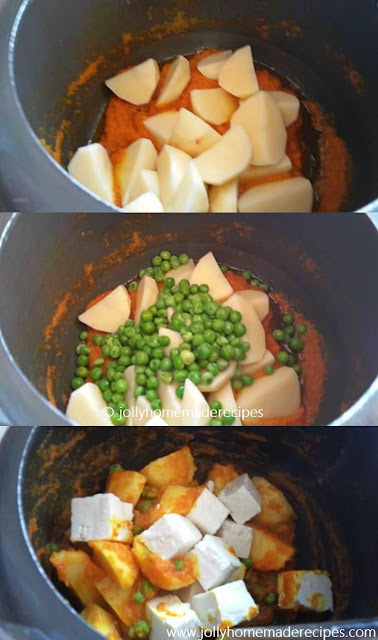 Simple, nice and my favorite recipe of aloo matar paneer. 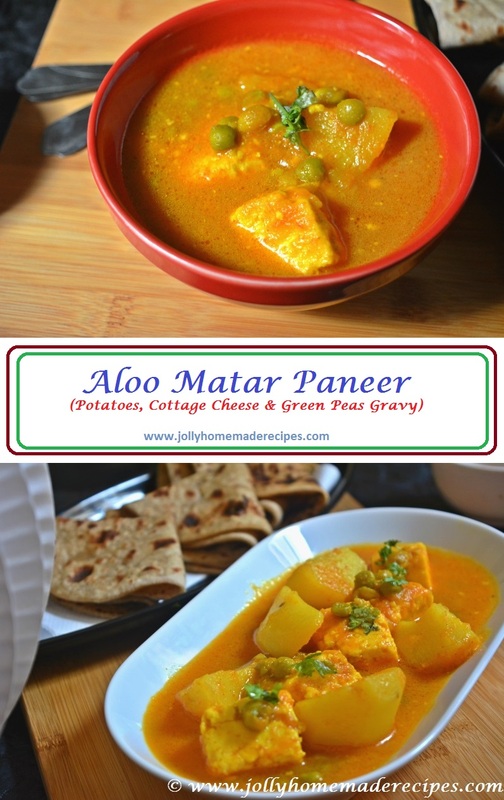 Aloo matar paneer looks so yummy.It is so inviting, love the easy way of making it!